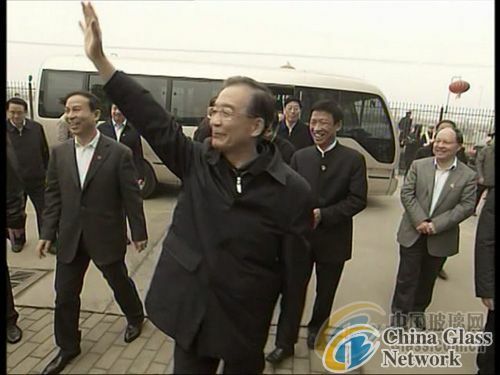 (China Glass Network) Wen Jiabao, member of the Political Bureau of the CPC Central Committee and premier of the State Council came to BU of Kibing Group for officers symposium accompanied by secretary of Hunan provincial Party Committee. Yu Qibing, president of Kibing Group and director of R&D delivered report during the symposium, they introduced development and product component of the group, plan to enter into advanced products field of Low-e glass and ITO PV glass and analyzed the application prospect of advanced products. 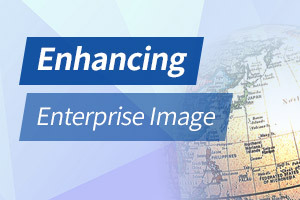 In addition, they hoped to get powerful support of national policy in promoting these high-end products. 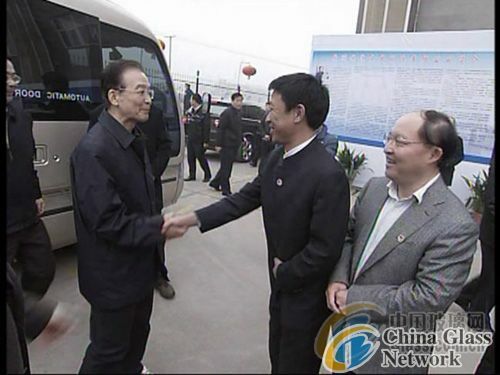 Premier Wen said that the symposium helped he to get knowledge of the actual development of glass industry. 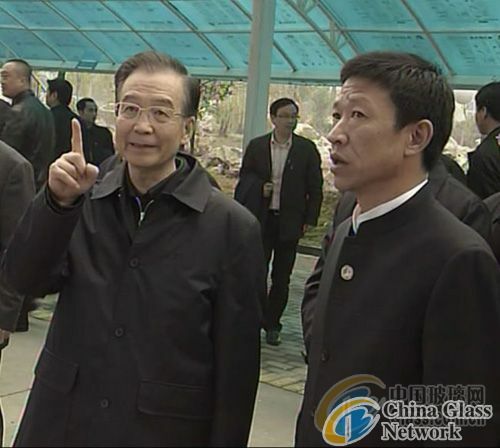 Premier Wen visited the sample room made of energy-saving glass after the symposium, and listened to the introduction and instructions made by president Yu and Director Shao about advantages of energy-saving glass.